My blog is getting so much like a shopping blog :p I dunno why but my shopping sickness has kicked in and has been around for four months now. 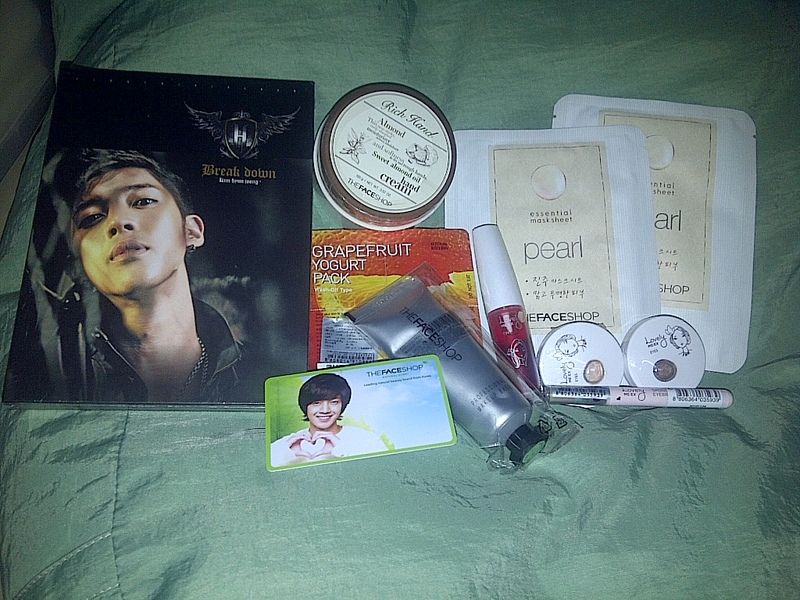 I promise this to be the last for the month though, as I am still waiting for my Gmarket and ebay purchases. 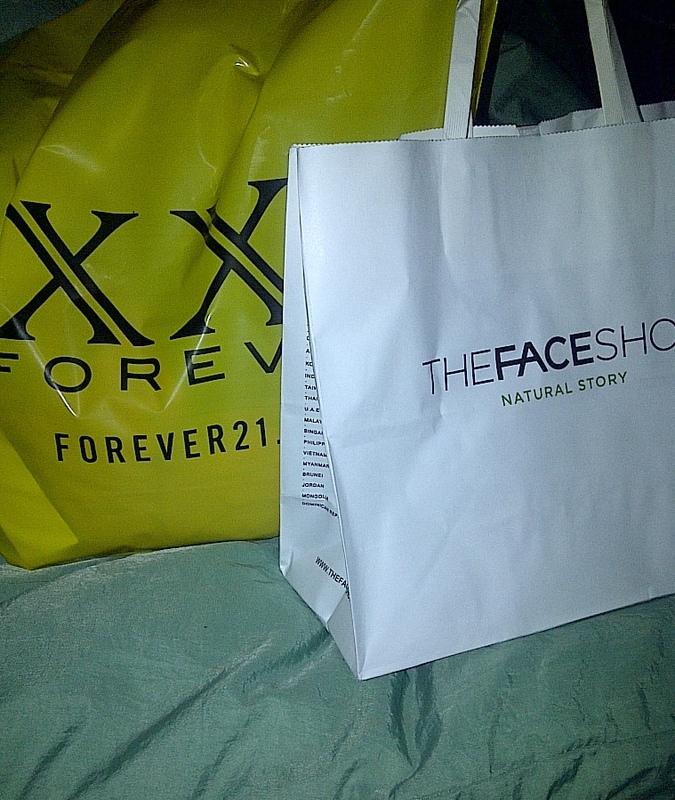 I will be on shopping detox after this weekend. For real. Anyway, I still decided to go out this afternoon because if I stayed home I will just be itching to buy something off Gmarket so I went to the mall so I can stretch my legs hehe. Actually, I was planning to go to Platinum Fashion Mall (This Bangkok mall is a treasure trove of goodies 🙂 It is a 5 or 6-storey shopping center where you can get clothes, shoes, bags, accessories, souvenirs, etc at wholesale prices. You have to allot at least half a day to scour every shop and find the best deals) instead of CentralWorld. Traffic was sooo bad that I had to get off the bus and took a cab to CentralWorld instead. I checked out Aldo, next, Dorothy Perkins, Zara and UNIQLO. I just purchased three pairs of shoes in the past two months so no shoe purchase today. I found some nice dresses at Dorothy Perkins but I wanted to check out Forever 21 first. As I passed by B2S, a bookshop, I browsed the laptop bags quickly and found something that I like. 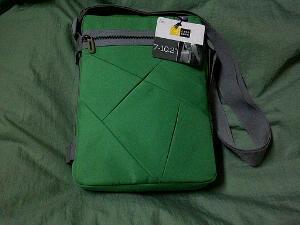 I got this green Case Logic bag not only because it was on sale but because I needed a bag for my portable DVD player. It will come in handy when I travel. 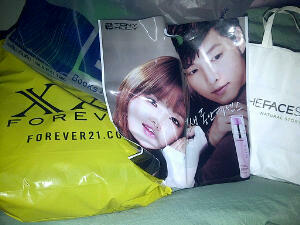 I went to Tony Moly afterwards. I found only the cheapest stuff because I have a lot of make up and my next Gmarket shopping will consist of Tony Moly products which are way cheaper than the prices here. This is my first time to buy from Tony Moly Thailand. I only got 2 Green Tea Essential Mask Sheet Packs, Hyaluronic Acid Natural Pulp Essence Sheet Mask, Top Coat Nail Polish (TC01) and Glittery Yellow Nail Polish (PP02). I didn’t get any sample from this shop. I saw brochures (I think it was a Tony Moly product brochure) with Song Joong Ki on the cover which I wanted but it was not offered to me by the shop assistant so I didn’t ask for it anymore. I’ll just keep the plastic bag haha. Oh! I’m having problems with my pimples on my chin and forehead now (boo! ), so I chose products to address this need. 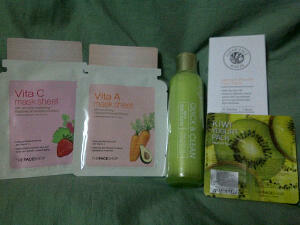 I got a Quick & Clean Mild Emulsion, Kiwi Yoghurt Pack (Wash Off), and Clean Face White Intensive Blemish Clear Patch. 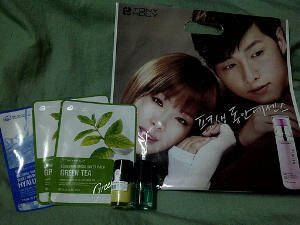 Since I’m a Face Shop member and my purchase was quite a lot (I think) I wasn’t shy to ask for samples. I was given two mask sheets – Vita A Mask Sheet (Carrot and Avocado Extracts with skin firming) and Vita C Mask Sheet (Strawberry and Raspberry Extracts with skin tone brightening). I really don’t know why they don’t give away samples here. I got a 20% discount with my mask and skincare purchase (I think they forgot to deduct a further 5% because I’m a member. I never check the receipt, that’s why). Oh, there was a table with products at 50% off. I didn’t find anything I like, though two of the nail polishes I bought yesterday were discounted that much at the CentralWorld branch. Tsk. Despite not having eaten lunch and a-quite-sore feet, I still headed straight to Forever 21 to look for dresses that’s not too casual and not too serious which I can wear to work. 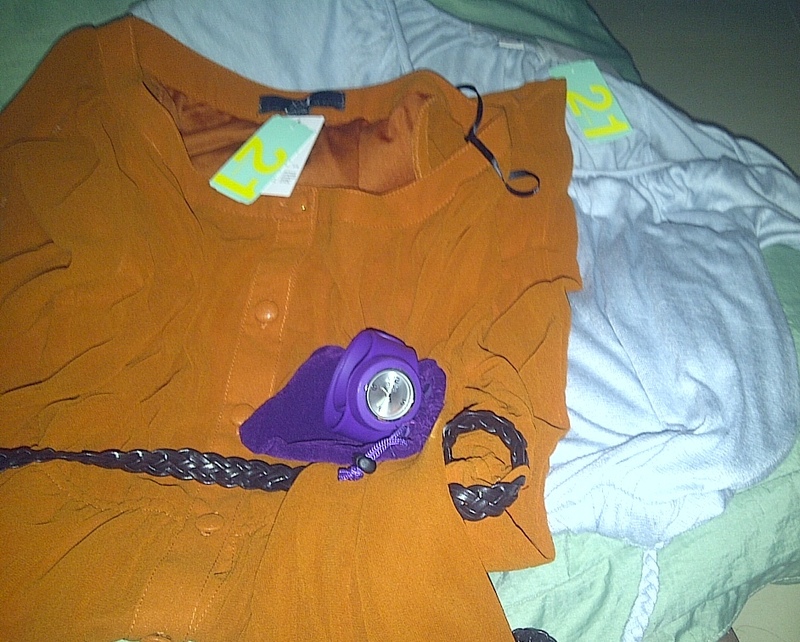 I only got a purple dress, black pants and Purederm Make up Cleansing Tissues for my next clothes shopping will be at Gmarket ;). Forever 21 has still the promotion that THB1,600 purchase will enable you to get a free watch. I got a red one this time. I already had a purple watch from shopping there last September. I finished my shopping for the day with an anticipated Mass at Holy Redeemer Church. Tomorrow’s schedule? I’m going to Browhaus at Siam Discovery. I have yet to check if I need to make an appointment or can just walk in. How’s your weekend so far? Hope y’all have a good one! Cheers! I went to CentralWorld today because I want to get my assistant a farewell present. I was planning to get her a shirt at UNIQLO since some stuff are still at introductory prices with its recent opening here in Bangkok last week. But since I wanted to try new skin care and cosmetic products I headed to the Korean skin care and cosmetics brands instead. I first went to Etude House but the price of the products are really expensive when they’re not as costly in Korea or even in the Philippines. I headed next to Tony Moly; it was my first time to visit the actual shop. I wanted to get some nail polish, gel liner and the Tomatox Brightening Mask so I asked the sales assistant how much should the minimum purchase be to avail of the membership; it has to be at least THB2,500. I deemed that my purchases won’t reach that much; I’m also not so familiar with the product reviews so I decided to transfer to my tried and proven brand, The Face Shop. Anyway, I also dropped by UNIQLO as I saw a lot of people holding paperbags from the shop. Besides, I haven’t been really inside a UNIQLO shop. I remember seeing a shop in Oxford Street in London but I just walked passed it. Here in the Bangkok shop being barely a week old, there were still quite a number of people inside so I didn’t bother to look at everything. I just checked the THB290 shirts and they’re not quite bad. The opening promotion ends on the 18th of September. Maybe I have to go back on the weekend again. Shopping is so much fun!Cheers!